Alex joined Dixon Advisory in 2008 to lead the then newly formed Funds Management division. Alex focused the efforts of the Funds Management division on providing Dixon Advisory clients with access to asset classes and investment opportunities that would normally only be available to institutional investors. From funds under management of under $100 million at the time of his start, Alex has grown the Funds Management division to crica $5 billion of funds under management today, with investments across residential and commercial property, fixed income, private equity, and listed equities and commodities. In addition to his role as CEO of Funds Management, Alex also leads the strategy and growth of Dixon USA, a leading provider of urban single-family home rentals in the New York metropolitan area. Alex conceived the idea of establishing a business to acquire and manage homes in urban areas experiencing strong growth and gentrification in 2008. Between 2008 and 2010, Alex researched and developed the investment thesis and business model for what would become Dixon USA, and in late 2010, Dixon USA was launched. Today, Dixon USA manages assets of over $1 billion and is the largest Australian-listed property trust with a primary strategy of investing in US residential property. 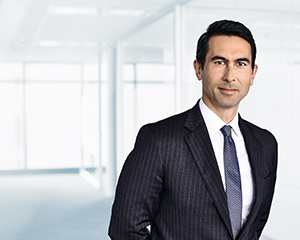 During his career, Alex has developed strong relationships with investment professionals around the globe who provide significant economic and investment insights. This enables Alex to identify and execute unique investment opportunities and take a disciplined approach to investing. His expertise is regularly called on by the media seeking comment on issues such as asset allocation and particular types of investments, and he contributes columns on those topics to the Financial Review. For Dixon Advisory, he presents on asset allocation, international markets (including Asia, resources and US property), income investments and general macroeconomic trends. Prior to joining Dixon Advisory, Alex was an investment banker at UBS, where he rose to Head of Energy for Australasia. During his tenure in investment banking, Alex worked on more than $100 billion in mergers and acquisitions and capital markets transactions, advising some of the world’s leading companies. What are the global investment implications of the Trump presidency?